Country Squire Estate Lots: An established community of handcrafted homes on one to four acres in Villa Hills in Northern KY. Hurry though and click on Estate Lots For Sale – only 1 lot is left! Rivers Pointe Estate Lots: Within the rolling ridges of Hebron, Kentucky with views of the Ohio River rests Rivers Pointe Estates. 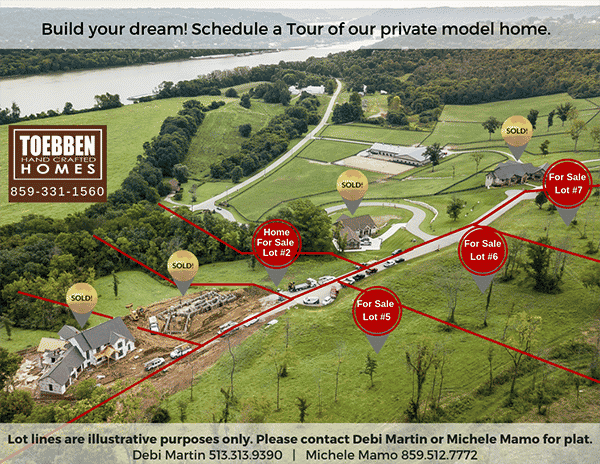 For a private showing of one of the lots available contact John Toebben at (859) 512-2426. 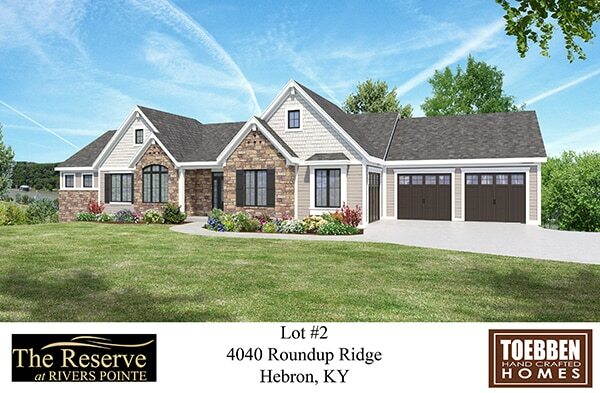 The Reserve at Rivers Pointe Estates: The Reserve is a vibrant neighborhood nestled in the Hebron Kentucky River Valley. Less than 20 minutes from Downtown Cincinnati, The Reserve is part of the exclusive 400 acre master planned community of Rivers Pointe Estates. 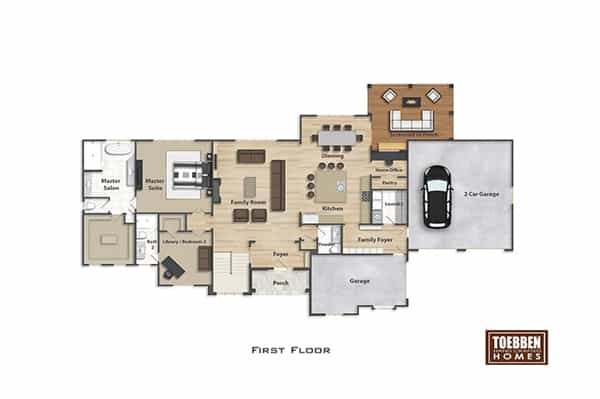 With an impressive offering of building sites, it’s time to take your next step in upscale country living. 4 Bedrooms and 3 full and 1 half bath. Over 4,200 S.F. 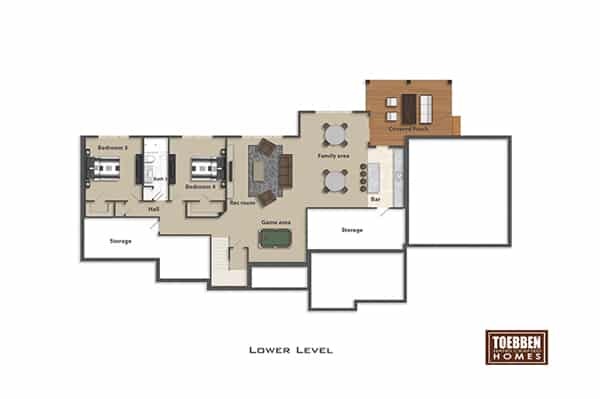 of finished space including a lower level with huge entertainment area and bar. 1.8 acre River View Lot #2.